NEW TOOL: How can teachers guide classroom conversations to support students’ science learning? Many students are not familiar with how to talk with their peers in order to make sense of phenomena as they make their way through investigations. This new resource highlights the importance of this approach to cultivating a sense-making culture in the classroom and links off to a range of different classroom resources: cards with sense-making prompts, table tents to guide conversation, and writing templates. 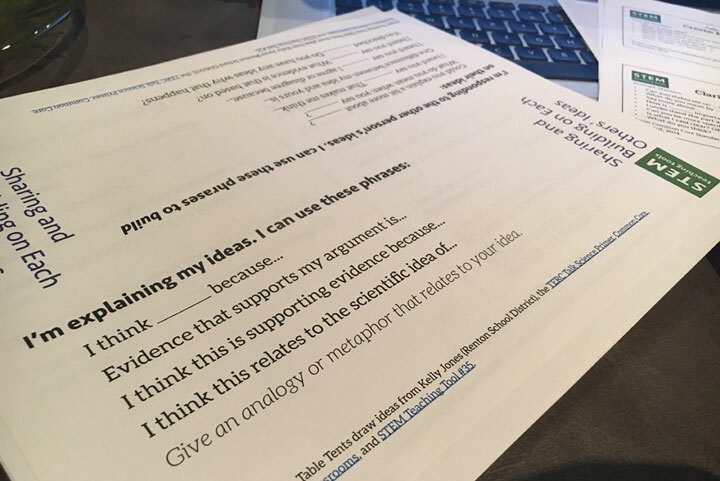 This fantastic resource was developed by Deb Morrison and implemented by Abby Rhinehart building on the Talk Science Primer, the Accountable Talk Sourcebook, and the research on Constructive Conversations.